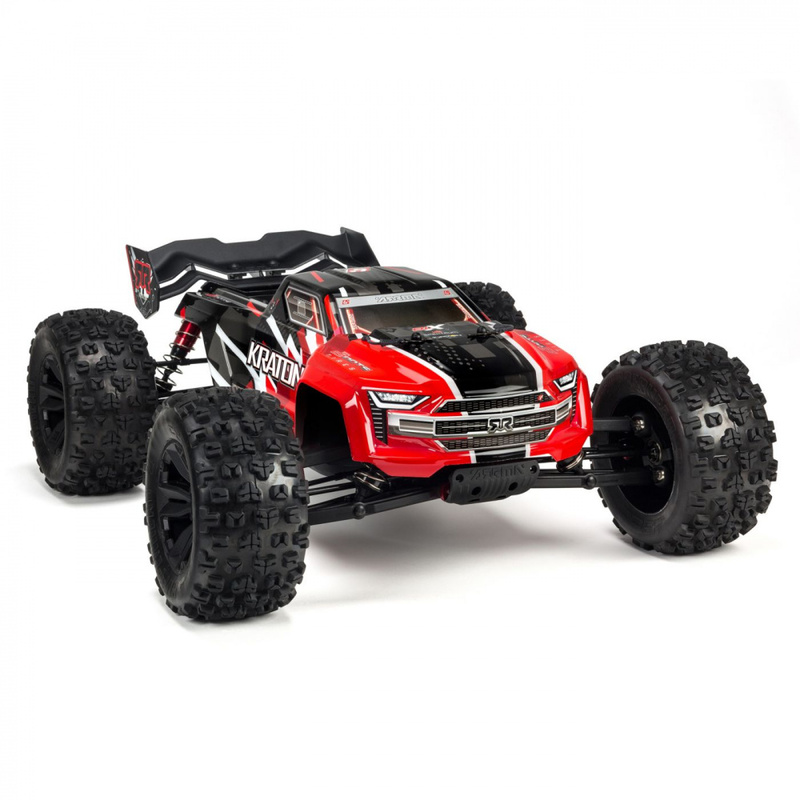 The ARRMA® KRATON™ 6S BLX 4WD Speed Monster Truck reaches a mindblowing 60+ mph, driven by its 6S capable brushless power system and durable design. 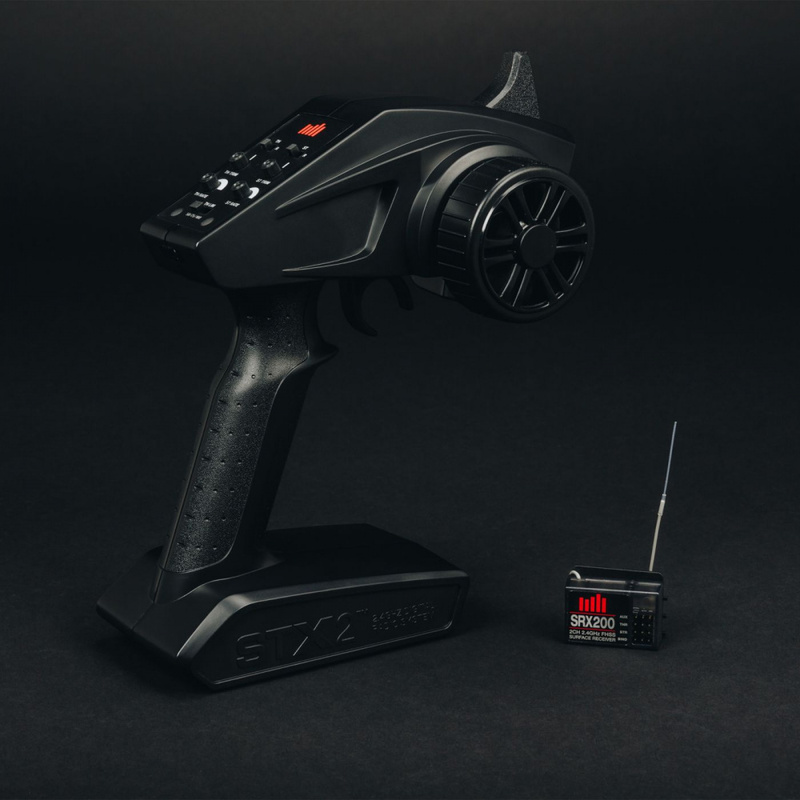 Now comes complete with the 2.4GHz Spektrum™ STX2® radio system, it's fully equipped for fast, all-terrain bashing! 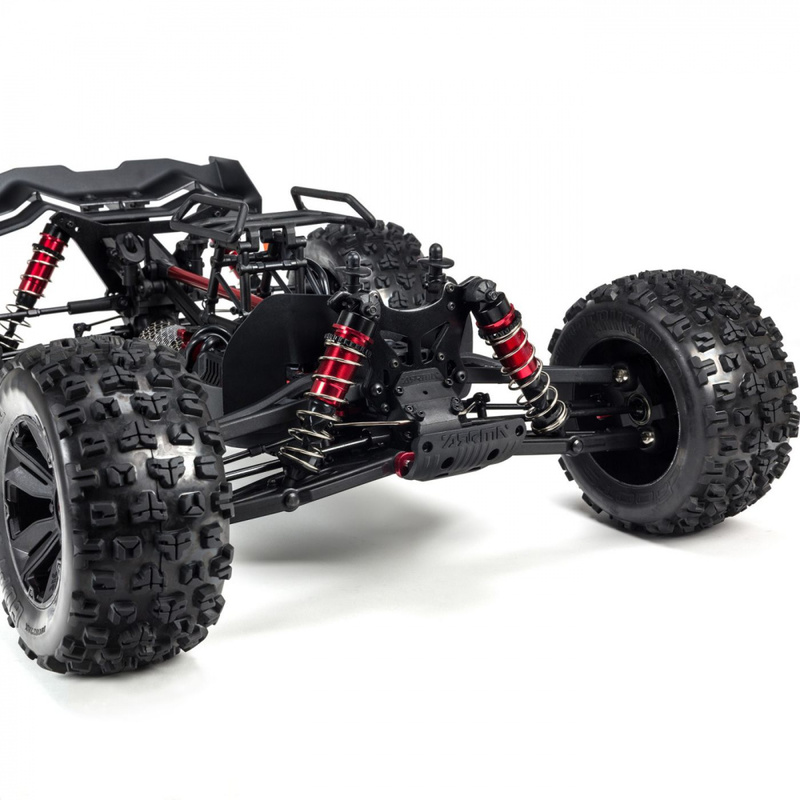 To put so much incredible speed into the hands of intermediate-level bashers, ARRMA® has outfitted the new KRATON™ Speed Monster Truck with a potent 2050Kv brushless motor. It's paired with the BLX185 ESC, featuring 1C5™ connectors and compatible with standard EC5™ connectors. Bashing is a "go" even through mud and snow, thanks to waterproof electronics. 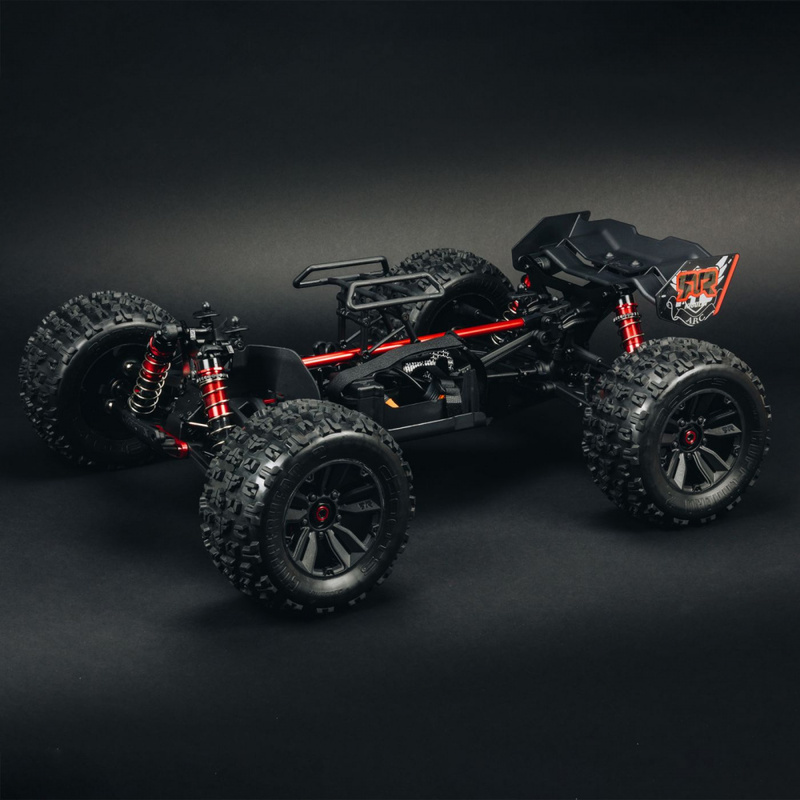 Add your favorite 4S or 6S LiPo battery and watch this monster truck smash your speed expectations, especially when running with the optional recommended pinion gear. 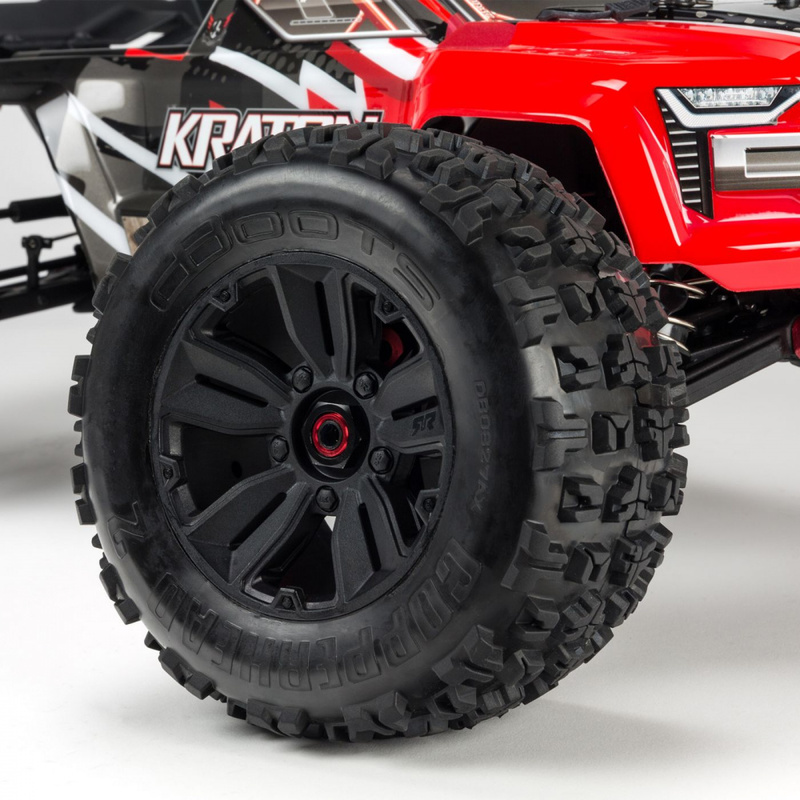 With adjustable oil-filled shocks soaking up the bumps, the KRATON™ 6S BLX 4WD Speed Monster Truck blasts over dirt, asphalt, grass - all terrain and all conditions. The shocks are mounted on black-anodized aluminum towers. New, multi-split spoke wheels come outfitted with super-aggressive, multi-surface DBoots® COPPERHEAD 2 tires. A high downforce wing helps keep the vehicle grounded. Everything contributes to confident control and responsive handling at thrilling high speeds. For the durability needed to support intense brushless performance, ARRMA® uses a strong anodized aluminum chassis as the foundation. A center body support and new aluminum center brace plus composite chassis side pods add more strength. All-metal diff outdrives and gearbox internals plus durable steel driveshafts provide a reliable, heavy-duty drivetrain that holds up to extreme, high-speed bashing. A new "never loose" aluminum steering servo saver and "never pop" ball ends supply more precision, reliability and confidence. 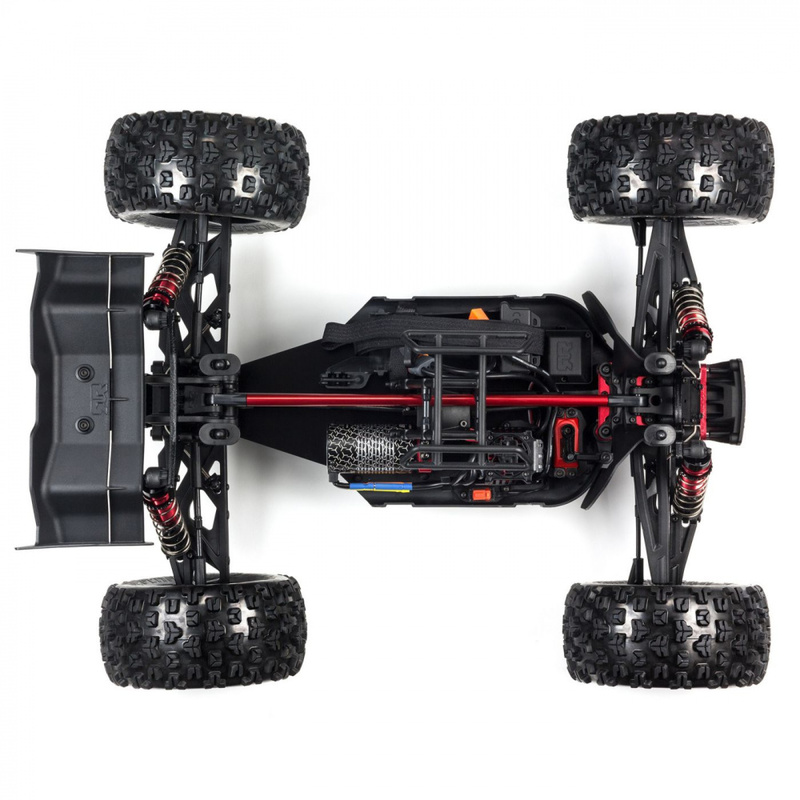 ARRMA® holds your maintenance downtime to the minimum with an efficient, driver-friendly design. A sliding mount allows quick, hassle-free motor access. The center diff is easy to reach and can be removed by taking out just seven bolts. Topping it all off is a monster truck body with streamlined good looks, featuring a red/black or blue/black trim and ultra-detailed decals. 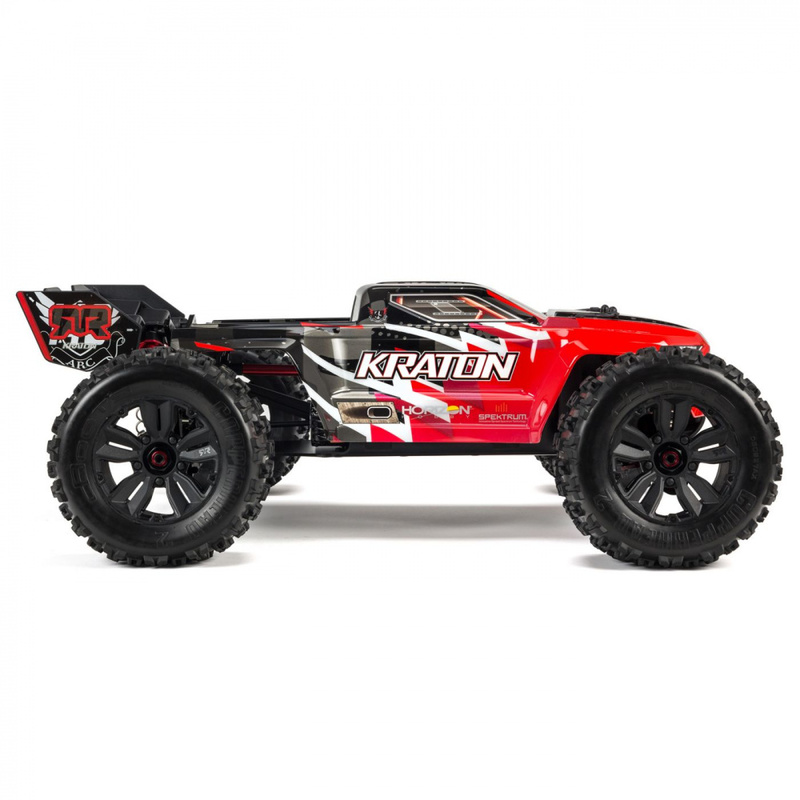 The ready-to-run KRATON™ 6S BLX 4WD Speed Monster Truck includes the new Spektrum™ 2.4GHz STX2® transmitter and comes with its SRX200 receiver and ADS-15M metal-geared servo already factory-installed. The only required items are a 4S or 6S LiPo battery, compatible charger, safe charging bag, and 4 x AA transmitter batteries. ARRMA® recommends the Dynamite® Powerstage™ Stage 6 bundle (DYN1540), which includes a Passport™ Ultra P2 100W AC/DC Multi-Charger and two Reaction HD 5000mAh 3S hardcase LiPo batteries with EC5™ connectors.